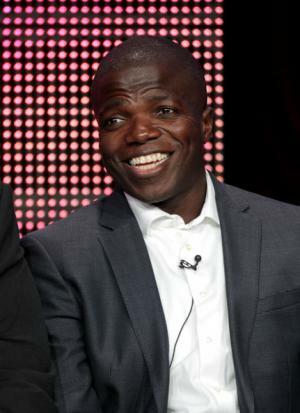 Roy Reno Wilson was born on the 20th January 1969, in Brooklyn, New York City, USA and is an actor. His first television role was in the comedy series “The Cosby Show”, in which (on a recurring basis) he appeared in 1988 to 1989. However, Reno is mostly known for his role as Officer Carl McMillan in the series “Mike & Molly” (2010 – 2016). Wilson has been active in the entertainment industry since 1988. How much is the net worth of Reno Wilson? It has been estimated that the total size of his wealth is as much as $1 million, as of the data presented at the end of 2016. Acting is the main source of Wilson’s net worth. Talking about his professional career, Reno started working on television portraying Howard in the series “The Cosby Show” (1988 – 1989). Afterwards, he appeared in episodes of the television series “Martin” (1993, 1996), “The Fresh Prince of Bel-Air” (1994) and “Coach” (1994). Then Wilson had a small role in the supernatural thriller film “Fallen” (1998) directed by Gregory Hoblit. A year later, he was seen in the comedy film “Whiteboyz” (1999) by Marc Levin, and was cast as a main in the television film “She Creature” (2001) directed and written by Sebastian Gutierrez. The actor was also listed as a main in the science fiction television series “The Chronicle” (2001 – 2002) created by Silvio Horta, and also starred in the horror film “R.S.V.P.” (2002) written and directed by Mark Anthony Galluzzo. His net worth was well established. In 2005, Reno created the character of Detective Tom Selway in the series “Blind Justice” aired on CBS. The following year, he starred in the television series “Heist” which was soon cancelled because of low audience ratings. Since 2007, Wilson has been working as a voice actor and successfully voicing such characters as Frenzy in “Transformers” (2007), Mudflap in “Transformers: Revenge of the Fallen” (2009), Brains in “Transformers: Dark of the Moon” (2011) and “Transformers: Age of Extinction” (2014). Meanwhile, he was listed as main in the black comedy action film by Neveldine “Crank: High Voltage” (2009) and in the biographical drama film “Bolden!” (2015) by Daniel Pritzker. Moreover, he starred alongside Billy Gardell and Melissa McCarthy in the sitcom “Mike & Molly” (2010 – 2016) created by Chuch Lorre and Mark Roberts. Moreover, Reno Wilson has been voicing video games. He gave his voice to various characters of the games “MadWorld” (2009), “Final Fantasy XIII” (2009), “Naruto Shippuden: Ultimate Ninja Storm 2” (2010), “Operation Flashpoint: Red River” (2011), “Lightning Returns: Final Fantasy XIII” (2014). among many others. Currently, he is working on the voicing of the upcoming animated film “Transformers: The Last Knight” which is going to be released in 2017. To summarise, all the aforementioned engagements have added sums to the outright size of Reno Wilson net worth making him another millionaire in the entertainment industry. Finally, in the personal life of the actor, Reno Wilson is married to Coco Fausone and they have two children; the family resides in Los Angeles. 1 Plays the character of "Officer Carl McMillan", on Mike & Molly (2010) to Cleo King character, "Grandma", however, Reno Wilson, born January 1969, is only 6 years & 5 months younger than Cleo King, born August 1962, possibly the smallest age difference between actors playing grandchild and grandparent in regular series television history. 2 Attended the State University of New York, SUNY Purchase.